﻿ Why are we campaigning? Why are we campaigning ? Hello everybody, I am campaigning for Motor Manufacturers and Government to use some common sense with vehicle lights. During my research, often a driver did not know what a Xenon [pronounced as "Zenon"] headlight was. Confusing yes, but when I said those bluish white headlights, the driver quickly said "ah those **#*!! lights that blind you". Hence www.blindedbixenon.co.uk was born. Now the difficult part - actually these headlights are good to drive with but not to drive against which in theory could be a 50/50 split. Wrong! 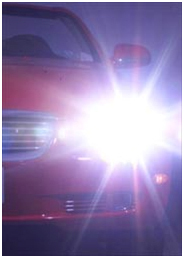 My research found that an average of 7 out of 10 drivers disliked lights blinding them but to their surprise were actually driving with Xenon lights and thus blinding other drivers. This is an issue that is difficult to grasp. I have being shunned by RoSPa, the IAM, Brake, Road Safety, Motor Manufacturers and many more. However, people who are expert drivers such as the Driving Instructors Association (DIA), Diamond Advanced Drivers and Approved Driving Instructor News (ADI News) have supported me along with motoring journalists like Honest John and James Baggott's Autoblog BBC TV and Radio have covered this issue but no one has yet grasped it fully - until now! 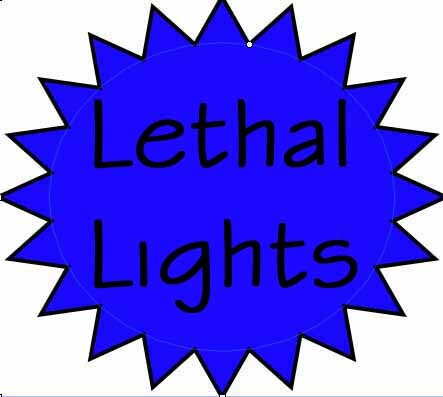 With the Driving Instructors Association support I have joined forces with Roy Milnes who had been fighting the issue of over-bright Daytime Running Lights (DaDRL). Manufacturers unproven claims (no EU country can provide any beneficial statistics) and flawed EU studies have convinced Governments across the world that blinding lights brighter than the power of the sun would make driving safer and reduce accidents. These brilliant daytime and night-time lights may make a driver feel safer, but oncoming drivers hate being blinded and dazzled. Particularly affected are drivers who have had eye surgery and drivers above fifty. They may have 20:20 vision but they can have longer retinal recovery times and are thus temporarily blinded. As a Licensed London Taxi driver, I am 100% certain that Manufacturers and Government have allowed these blinding lights to endanger our lives. If a more common sense approach was adopted and they consulted ophthalmologists (rather than solely road safety experts) our lives would be enriched with fewer accidents and happier drivers. There is evidence in Europe that rather than saving lives, Daytime Running Lights are killing vulnerable road users even in Sweden where proportionally more cyclists are killed. (see P9 Fig.2). Collectively, we have been campaigning for 15 years and we are in it for the long haul, we will not rest until this complicated issue is understood and regulations changed. Does my story inspire you? I am often told that my passion for this cause is" inspirational". The responses I get (see petition comments) give me the heart and determination to never give in and now being a senior citizen, I just hope that I live long enough to see it through.